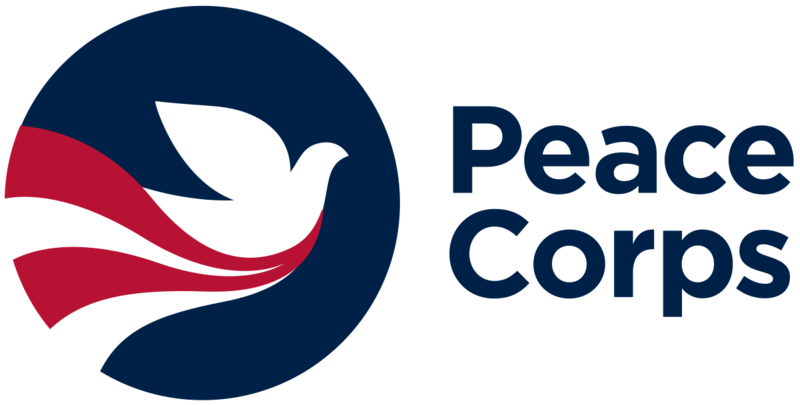 The United States Peace Corps program in Indonesia is currently recruiting a qualified and motivated candidate for a position based in Surabaya. The role of the Safety and Security Assistant (SSA) is to provide administrative support to the safety and security program. The primary responsibilities of the SSA are ensuring security-related files are kept up-to-date; maintaining the Whereabouts reporting system; assisting in the analysis and reporting of security incidents; preparing reports, training materials, and other resource materials; and maintaining up-to-date contact information for local and national police, transportation, and consolidation points. In addition, the SSA will act as the back-up to the Safety and Security Manager (SSM). The Office of Safety and Security provides technical oversight of security related matters. The SSA reports to the SSM who manages day to day workload. When the SSM is unavailable, the SSA may also be the contact point with the Peace Corps Safety and Security Officer (PCSSO), Regional Security Advisor (RSA), Embassy security officials, and local law enforcement agencies in carrying out the responsibilities designated below or as directed by the CD. Technical review, evaluation and training can be conducted by the SSM and the PCSSO. Edits and updates safety and security information in the Volunteer Information Database (VIDA) and generates reports upon request. Collaborates with the SSM to monitor and update site history data. Assists in ensuring prompt recording of security-related data in site history files. Verifies that all site locator forms are accurate and documented in VIDA. Ensures that all Volunteer sites and houses have been properly evaluated for safety and security criteria and documentation is on file. Understands Volunteer whereabouts system and assists with maintaining information as needed. Assists SSM and CD to ensure critical PCSSO recommendations are implemented appropriately and deadlines are met. Works with the SSM to provide regular updates on implementation progress and/or challenges to the CD and the PCSSO. Assists with the development of training materials for safety and security related sessions during events such as Pre-Service Training (PST), In-Service Trainings (IST), Close of Service (COS) conferences and Warden Trainings. Co-facilitates training sessions with the SSM as directed by the SSM or the CD. May be required to facilitate training sessions in lieu of the SSM if he/she is unavailable. Participates in the delivery of safety information to home-stay families during their pre-PST orientation and permanent home-stay families briefing after site selection. Accompanies the SSM on site visits as needed. As requested, assists with Volunteer housing inspections and approvals prior to occupancy as per Post’s policies and procedures. Ensures that GPS coordinates are maintained in VIDA for Volunteer sites, consolidation points, and other relevant locations. Supports the SSM in mapping Volunteer sites and consolidation points. Upon SSM’s request, provides Volunteer support after crime incidents, such as police follow-up, preparation of reports, accompanying Volunteers to their sites, etc. Assuring that the Volunteer or other Volunteers are safe from imminent or serious threat and taking immediate action to remove victim or others if a serious or imminent threat exists. Communicating with the Designated Safety Specialist (DSS) for guidance when required and according to the notification protocol. Protecting the confidentiality of information surrounding the sexual assault. Coordinates with the Office of General Counsel on the hiring of an attorney to advise a Volunteer on the legal process (when necessary). Conduct post-incident assessment to identify any ongoing threats or security concerns and mitigation strategies. Participates in agency Coordinated Incident Response System (CARS) calls when needed. Makes logistical arrangements for Volunteers (e.g. hotel or travel arrangements). Assists in developing a safety plan in collaboration with the Assigned Security Specialist and the Victim Advocate. For all incidents – Assists the SSM to ensure that reportable incidents are communicated to the CD in accordance with policies and procedures; assists the SSM in completing incident reports in the Consolidated Incident Reporting System (CIRS) per the Consolidated Incident Reporting Guidelines. Supports the SSM by entering information as needed in site history files. In collaboration with the SSM, assists the CD and senior staff at Post during an emergency situation. Assists the SSM in the training and testing of Post’s Emergency Action Plan (EAP). Reviews Post specific office emergency and security plan. Assists SSM on developing and revising policy documents, such as EAPs and Transportation Policies. Has a working knowledge of security equipment such as satellite phones, radios and other emergency devices and assists the SSM in periodic tests of those devices. Assists the SSM in maintaining post-crime statistics and analyzing trends. Prepares reports and resource materials for SSM. Becomes familiar with and assists the PCSSO and the SSM with updates to the Legal Environment Survey. Organizes safety and security resources such as manuals, handbooks, leaflets, pamphlets, slides, videos, and memos and makes their contents and Peace Corps policies known to staff and Volunteers. Participates in staff meetings (both general staff meetings and executive staff meetings at the discretion of the CD), discussions and activities, and makes recommendations for changes in program policy and procedures as they relate to Volunteer safety and security. Has knowledge of Embassy security staff and local law enforcement resources in order to obtain updates and information on emergency/security issues at Post. Represents the Post at regularly scheduled safety and security external meetings as needed. Performs the responsibilities of a duty officer when scheduled as a part of the Post’s duty officer program rotation. Maintains and updates the duty officer binder as needed. Stands in as the Acting SSM when the SSM is out of the office and unavailable (i.e. on annual leave, sick leave or official travel) or there is a vacancy in the SSM position. May perform other safety and security duties as assigned by the CD. The Contractor is subject to worldwide availability and may be requested by the Peace Corps to be reassigned or transferred permanently to another Peace Corps Post/Headquarters or perform temporary duties (TDY) as required and to travel to other assignments within Peace Corps’ as assigned. Any such reassignment or transfer shall be subject to agreement of the Contractor. The Statement of Work as defined will remain the same; however the duties may be subject to change as determined by the Contracting Officer. To the extent Contractor is allowed to operate a US government owned, leased, or rented vehicle (GOV) to perform their job duties, the Contractor must operate that vehicle safely at all times and only operate it for official business purposes as defined in 31 USC 1334. Contractor is encouraged to refrain from texting or from engaging in any behavior that distracts attention from driving safely at any time. Except in an emergency situation, Contractor shall not text message (i) when driving a GOV; (ii) when driving a privately-owned vehicle (POV) while on official government business; or (iii) while using electronic equipment supplied by the government while driving any vehicle (even during off-duty hours). Please detail your approach in supporting victims of crime with specific examples. Please detail your professional experience in maintaining office database with specific examples. Please detail your professional experience in delivering training sessions to adults in English and Bahasa Indonesia. Please indicate “Safety and Security Assistant” in the subject line of the email. Friday Feb 08, 2019 at 12:00PM local Surabaya time.